See, I didn’t want to just spew out a recap of the past year without including the interesting things that Genii Games is already working on this year. The latter meant I had to hit the ground running upon my return from the Midlands where I drew some interesting inspirations. The best way to truly recap the past year is to do so within the context of the goals we’d set for ourselves at the beginning of 2015. 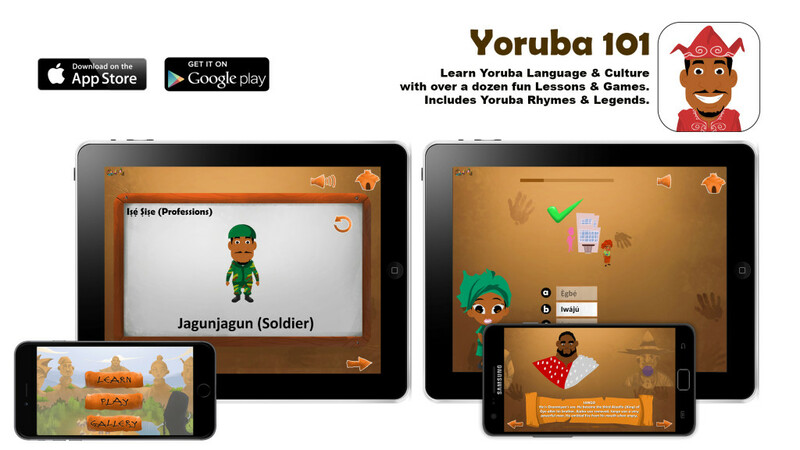 Yoruba101 – Our interactive Yoruba language learning app for Android, iPhone and iPad received its third update since inception. 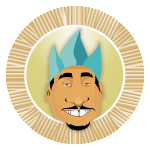 Tagged ‘Legend Edition’, we’d redesigned it around an exciting quest where users vie to win the ultimate crown by playing through over a dozen games and lessons unlocking cultural symbols and learning Yoruba as they go. Interestingly, it was well received, gathering good reviews, features and spinning off social shares and selfies with the unlocked legends. The Yoruba language learning app also spun off an interesting challenge with social media celebrity, Chantelle Ladeinde better known as Official Naija Oyinbo where she became the first to finish the Yoruba101 quest. 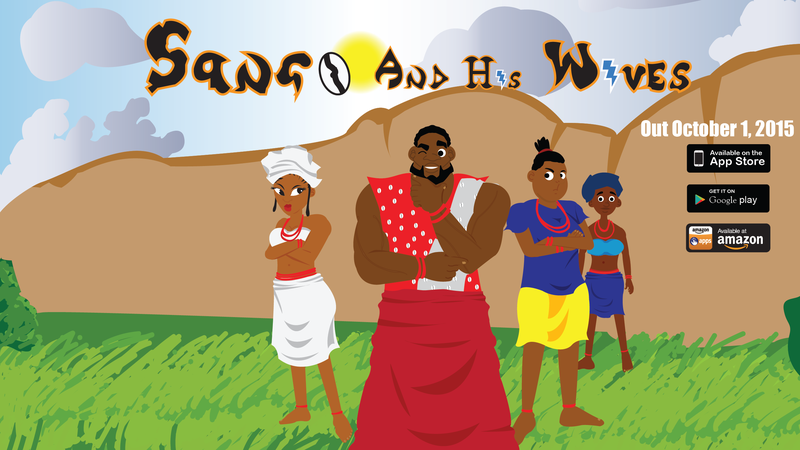 Sango and His Wives – Our first ever multi-lingual story and coloring book app for kids was released on iOS, Android and Amazon. It features subtitles in Chinese, German, French, Portuguese, Spanish and Yoruba languages. Users can also record and play their own voices. 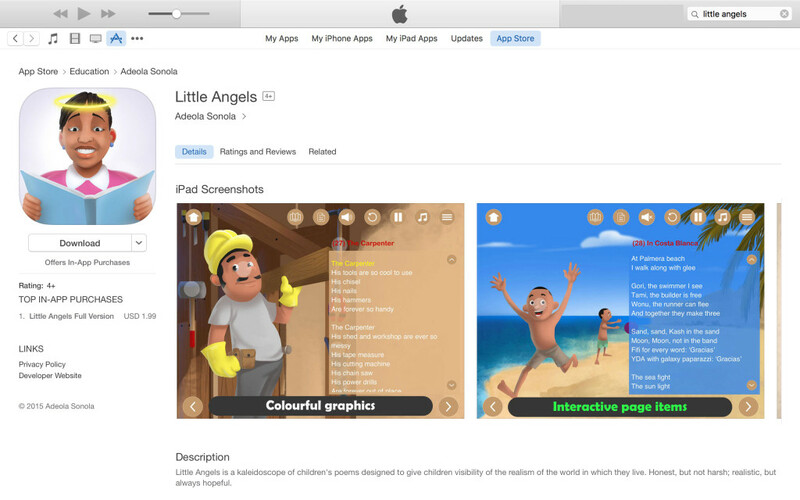 Little Angels – we worked with UK based Fedkot Publishing to develop its Little Angels app for iPad and Android, a collection of children’s poem. In February, we exhibited at the Future Everything Festival in Manchester, courtesy of the British Council. In August, we were in Cologne, Germany for Gamescom, courtesy of the Goethe Institut. In September, we featured at the Amaze Festival in Johannesburg, South-Africa, courtesy of the Goethe Institut, WITS University and more. 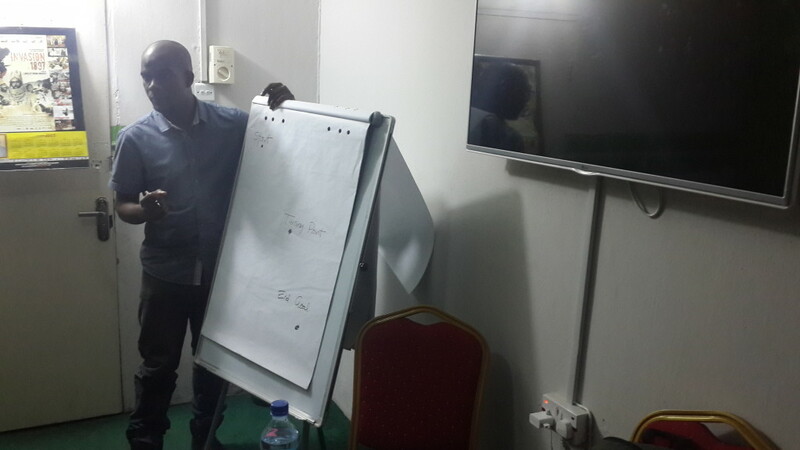 The foregoing were made possible by our investor and partner, Co-Creation Hub. We worked with Mansa Colabs and African Ancestry – a notable DNA tracing organization for African Americans – to deliver an introductory webinar to its customers in December. We decided to take our Cultural adventure beyond the world of apps covering the Osun-Osogbo festival from a unique angle with Street Photographer, Ife Martins. That earned us a feature in OkayAfrica’s blog with great reception from its audience. 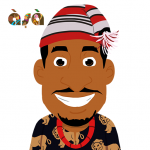 The long awaited Igbo101 and Hausa101 update didn’t happen! We’re sorry! The animated series we hinted about also didn’t happen! In 2016, it gets interesting! Yes, excitingly challenging too. Our animated video series finally gets underway. With 2 brainstorming sessions held late January, we are off to a great start. To further underscore our seriousness, here are a few shots from the sessions. 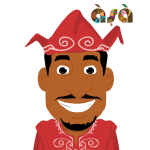 To help us actualize our larger vision of making African Cultures fun and engaging for kids worldwide, Genii Games now has on board amazing individuals – Ricky Tim Efobi (Chief Technical Officer), Aiyewa Tughu, Seyi Kilanko, Segun Samson, and Ifeanyichukwu Parklins – making our journey really exciting! Big Ups to the Co-Creation Hub for the vote of confidence also! 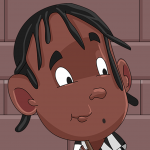 So, this year, expect to see our much awaited animated series with more updates in the coming weeks. 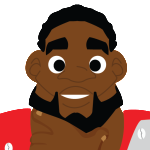 By the way, we’ve been sketching out the characters to make their debut. The Igbo101 will receive an update. I dare say, an even more interesting one than Yoruba101 as we love to raise the bar among ourselves and products lol. Also, watch out for at least one new app. 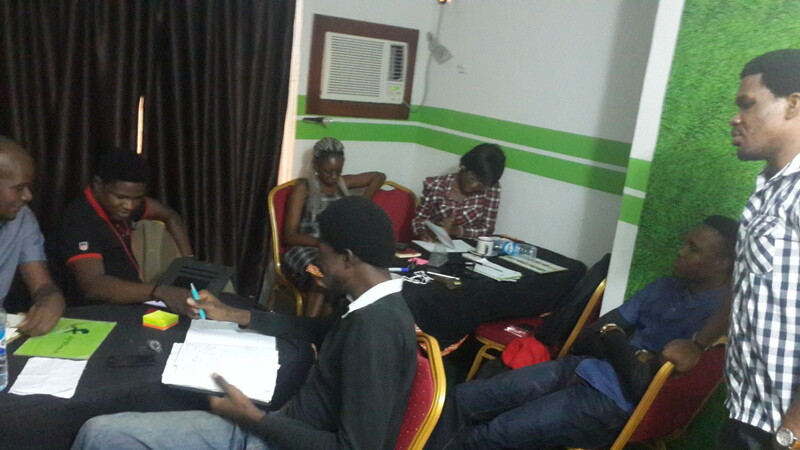 The Digital Storytelling workshop is also a big one for us. We kicked off the session yesterday with our first set of Digital Storytellers. It’s a yearlong workshop for kids aged 4+ where we get to build exciting story apps and videos from scratch. Suitable for individuals, schools and organizations, read more about the Digital Storytelling Workshop and how to get involved here. I could go on and on but I’ve got more adventures lined up. Rest assured, I’ll be filling you in as we go along. Thank you for sticking by us. In 2016, let’s keep working to make African Cultures fun and engaging for kids everywhere!